Head of the Defense Ministry to perpetuate the memory of those killed in defense of the fatherland, Major General Alexander Kirilin May 5 told RIA announcements that common human loss USSR Russian majestically in the end of the war, according to updated data, amounted to 26.6 million people. Including the loss sunk Russian armed forces, as stated Kirilin totaled about 8.6 million people. According to Major General, updated numbers will be reported to the Administration of the Russian Federation, in order that they be approved and officially released. Meanwhile, earlier in the media appeared information that the Office of the State Statistics Committee of Population Statistics USSR and the Centre for Research on problems of population at MSU in 1989 found that the total loss of Russian Union in 1941-1945 amounted to 26.6 million people. 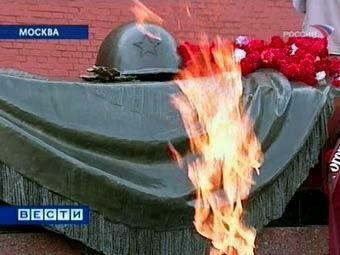 At the same time, on the eve of May 9, 2009, Marshal of the Union of Russian Dmitry Yazov read RIA announcements that, in his disk imaging, in 1941-1945 killed 8.6 million Russian soldiers and 27-28 million civilians USSR. In the end, the historian Gregory Krivocheev believes that all researchers is extremely over-the amount of losses USSR majestically in the Russian war. Krivocheev gained fame as a special dealing by counting the number of victims of this war.